You'll love having this loveseat in your home for it's casual appeal and comfortable sit. The piece is draped in a neutral yet stylish intermix khaki fabric that is easy to match with existing decor. The 8340 Casual Loveseat with Large Flare Tapered Arms by Albany at Miskelly Furniture in the Jackson, Pearl, Madison, Ridgeland, Flowood Mississippi area. Product availability may vary. Contact us for the most current availability on this product. 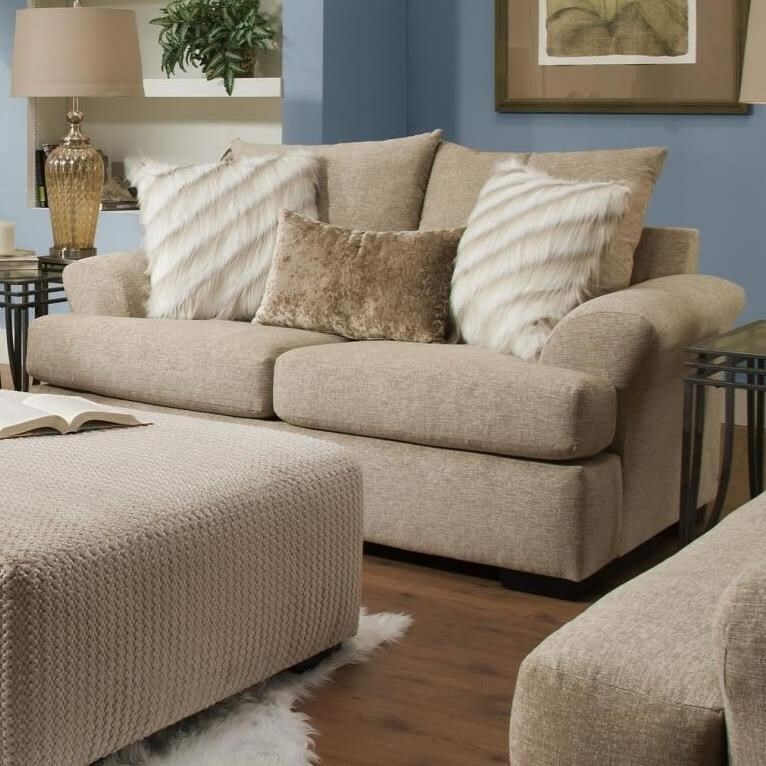 Create a cozy living space with this classic-meets-comfort living room collection. T-style seat cushions and oversize flared arms touch on traditional shapes, while plush back cushions and accent pillows keep the look fun and relaxed for today's homes. The 8340 collection is a great option if you are looking for Casual furniture in the Jackson, Pearl, Madison, Ridgeland, Flowood Mississippi area. Browse other items in the 8340 collection from Miskelly Furniture in the Jackson, Pearl, Madison, Ridgeland, Flowood Mississippi area.